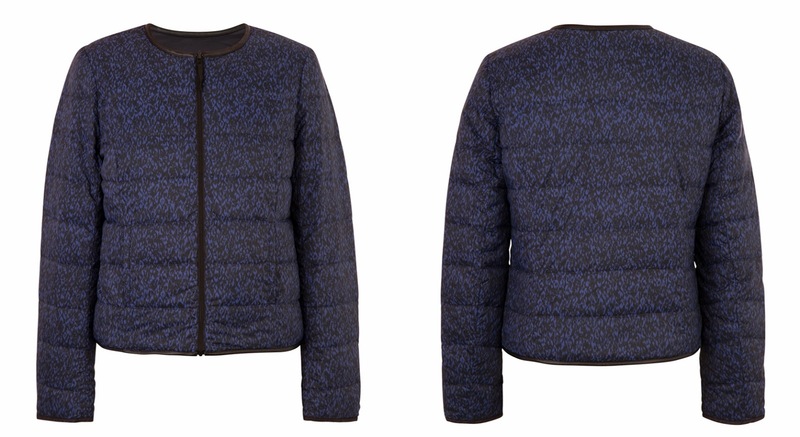 Hello little french puffy jacket, come to mama. Oh, you're reversible? Get into my closet now. Last year Uniqlo announced a new designer collaboration with Comptoir des Cottoniers, and they released the first collection of Madamoiselle Plume, tagline "When French fashion meets Japanese technology". 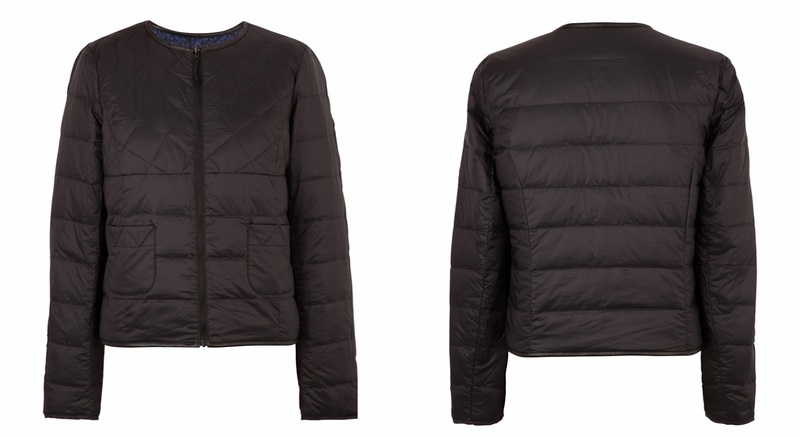 It was very similar to Uniqlo's famous Ultra Light Down Compact Jacket but reversible, zippered, and with a (faux) leather trim, and exclusive color ways. Sold like hotcakes. 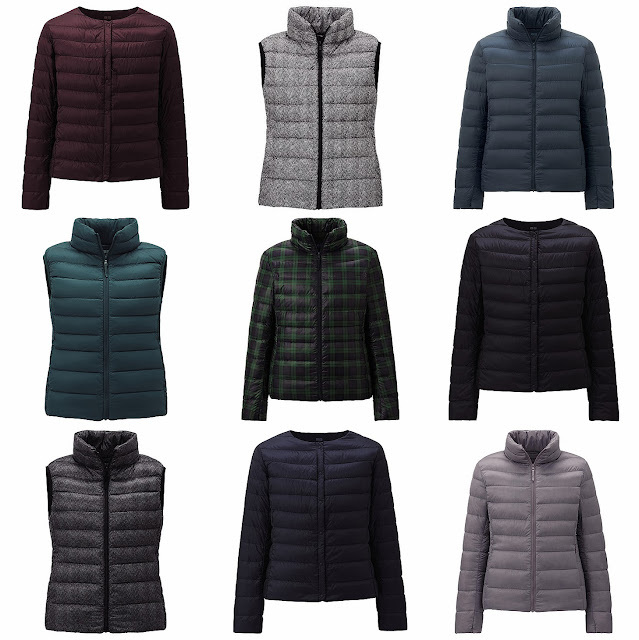 Well, Madamoiselle Plume is back, more quietly this year, and with no outward recognition of the fact that it's produced by Uniqlo (though it is, I promise, and I've had this confirmed in store just to be sure), with new colors and patterns to make your heart pitter patter. My absolute favorite is that black and blue print above, which looks to me like some magical leopard-ikat hybrid, but it also comes in a grey on black version of the same print as well as a solid red, blue, pale grey and slate grey (all reversible to black). If I had one near me to get the sizing right you can be sure I'd own a bunch of these by now. But for now, I'm drooling over the frenchified version. 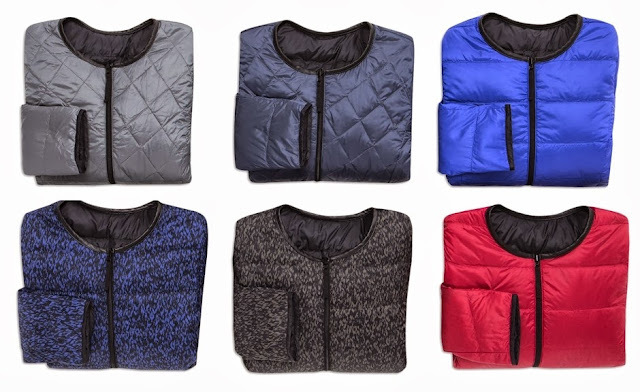 Do you have one of these ultra light down jackets or vests? Would you spring for a fancier version? Wow, how clever! Two in one! I'm such a sucker for reversible things, even though the reality is you pretty much will always wear it one way. Still, I can't resist! Of course you know I love don't you? But I cannot possibly indulge in another down jacket ... just yet. I've been wearing mine the last couple of nights in the evening - it does help take the edge off the old bones! Can't you just order a couple for sizing and send back? A bit of a pain but you did it with your black boots? And besides, postage will be cheap - these jackets weigh nothing. I do know you love yours! In fact I thought of you when I was looking at these. I suppose I could order multiples and return, but to be honest that's just so much easier in the states (which is where I was when I did my bootie research) due to all the free shipping and free returns and no customs or anything like that. So while I'm in Spain I tend to avoid online shopping unless I know exactly what I need.